So, I had to come up with schedule. Mula bulan lepas, hantar Haris belajar agama dari pukul 9.00 pagi hingga 12.00 tengahari. Jadi, takpelah, mula-mula ni masa untuk sit down dan belajar kita buat sikit dulu. 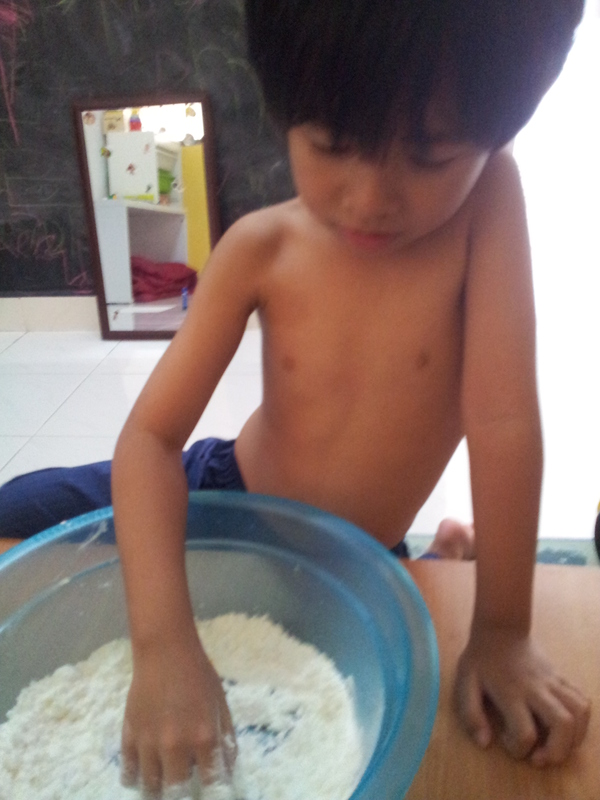 Mak dia pun terkontang kanting lagi masih testing what works best for him. Tambah pula, Hana tengah banyak rebellious sekarang *mak nanges*. So, officially, the new schedule starts today. I’m going to try to fit in 4 different subjects, with 15 minutes each. If any topic of the day yang dia enjoy it’s fine to expand it a bit. It just a guide and plan and Allah knows best. While Hafazan dan Islamic Studies, setiap kali selepas solat, inshaAllah. Hujung bulan musim cuti sekolah. 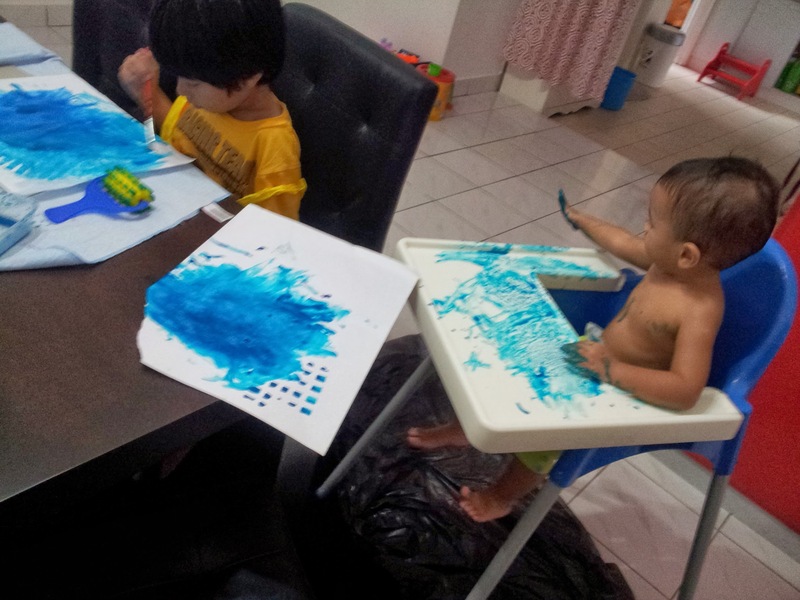 So, macam-macam program utk kanak-kanak ada. Haris join program agama di PPAS. First day gi half day. Nanges. 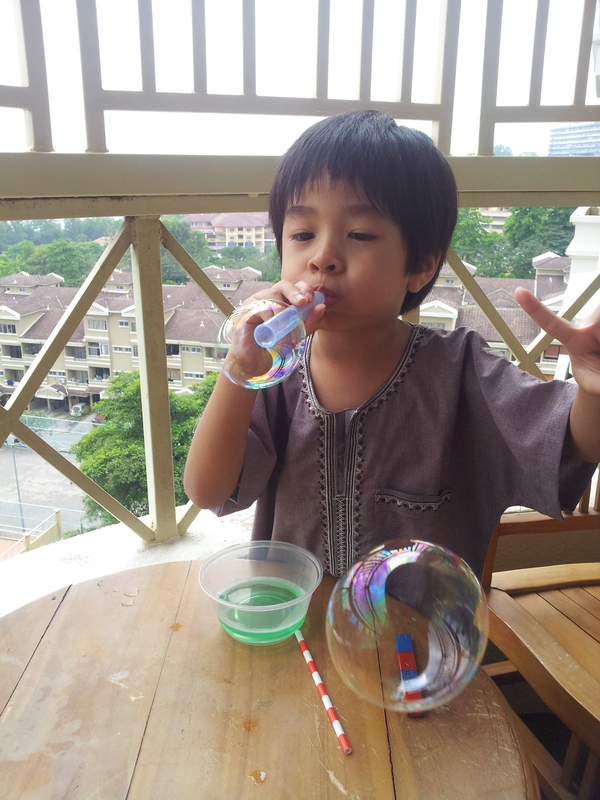 After that he’s OK. As long as dia x tgk me…. Hana pulak, masha-Allah, tgh boleh jalan. Tgh pulun jalan. 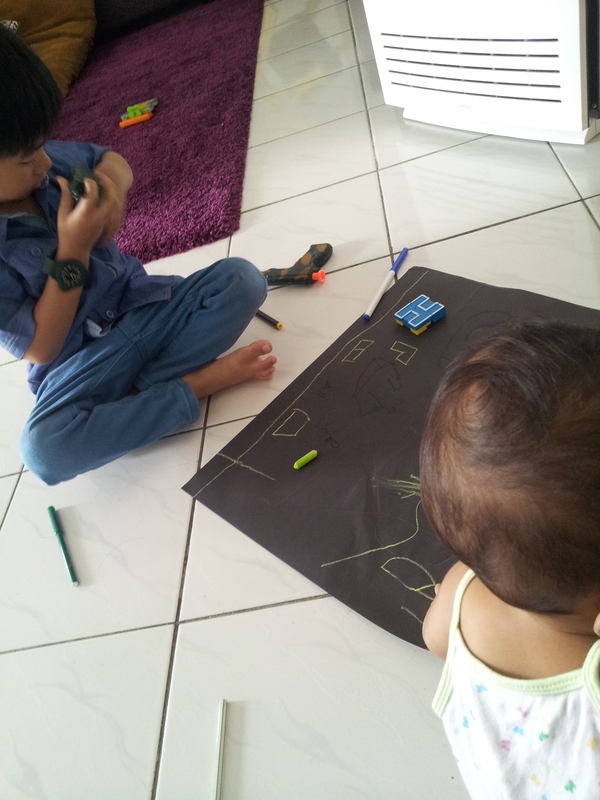 She now asyik ajak ke shoe cabinet, takes her own shoes and nak pakai nak ke pintu. Huu. Oh, and we also went to bookstores to shop books of, course! Habiskan BB1M papa. Mwahahaha. I tried planning ahead of what to do for Haris for him to learn for the whole week, or at least for a few days but most of them never get done. Mostly based on his moods. I can never force him to do things and I would never. I suggest him to do this and that and if he is willing, we’ll do it. Just like last week, when out of the blue he asked me to do origami horse, this week he wants everything to do with the police. It is chaotic for me because I have to google things (I rely in internet so much, sigh). While searching for things, he pesters me to do things with him and Hana too for attention. Goodness. By 9pm I already run out of energy. But, Haris sleeps in late. Because of his time with Papa. I wish he comes home earlier and participate in making Haris sleeps early like lights out at 9pm. Hmm. We went to see movie; The Lego Movie on Sunday (Haris and Papa je) and me and Hana strolling around the mall! Yay! And bookstore! My child-teenager self surfaces eversince we decided to include learning around the house and I have become obsessed with books again. Peace of mind. 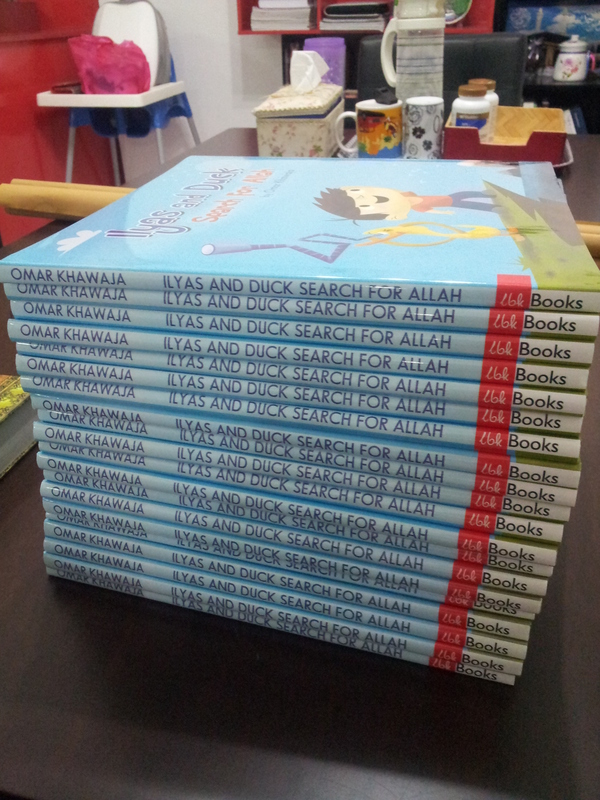 Indeed, Allah is the best planner, He sent me Papa to put a stop in buying books. LOL. If not I’ll end up buying books which god knows when will I have time to read all of them. I spent around one hour and a half in MPH and I’m happy that MPH caters syllabus from outside, UK, US, Japan, Singapore, Japan and Australia. I have to have to visit its Megastore in OU but I hate going to OU. Too big and hard to park. The thing is they only sell workbooks and not textbooks. 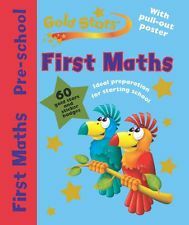 I bought singapore math workbook for Haris and I realise that what I actually need is textbooks or teacherguide! Tapi tak rugi. Kalau tak cuba tak tahu. Kena menabung lagilah untuk next purchase. Hehe. Hopefully adalah kat OU sana. Disebabkan Lego itu, satu minggu ni Haris nak jadi polis. 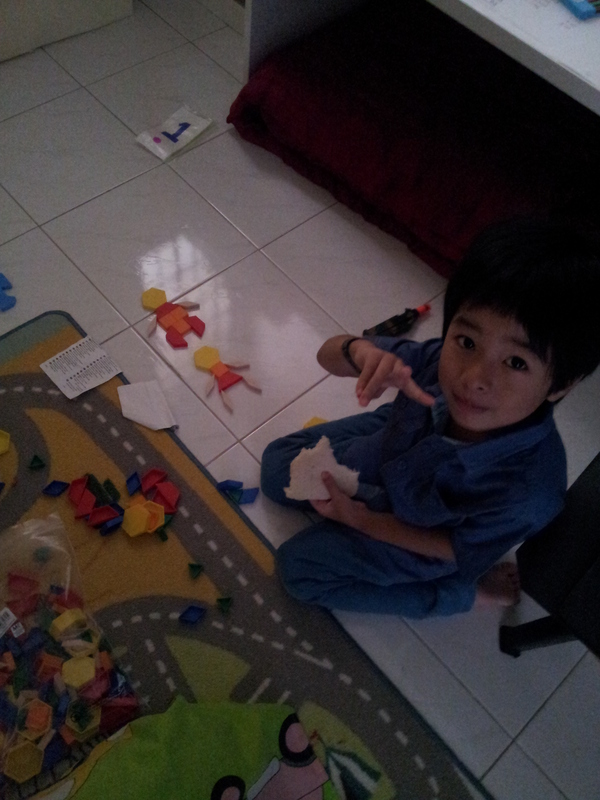 =.= He kept begging me to buy him handcuffs because the old one dah patah. Last-last buat DIY handcuffs with kitchen towel roll and a shoelace. First off, the first week banyak concentrate nak buat housewarming. Mama and papa terlebih nervous sebenarnya. Couldn’t concentrate on anything else. Me, I mean! 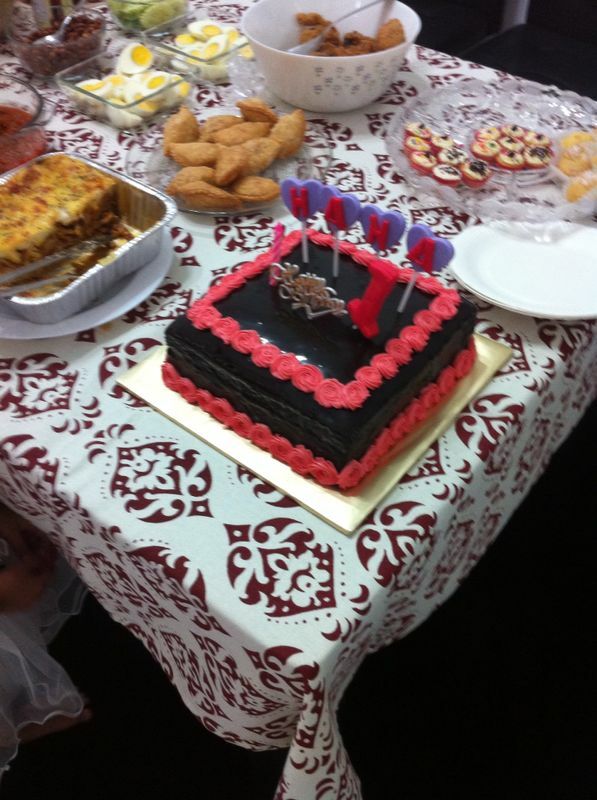 Sambil-sambil tu sambut birthday Hana kecil-kecilan. 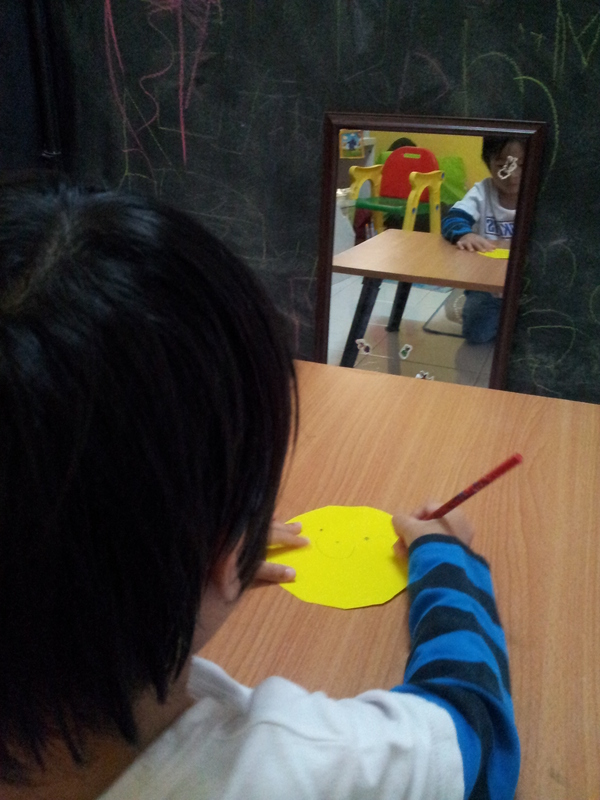 We practice to write his full name. 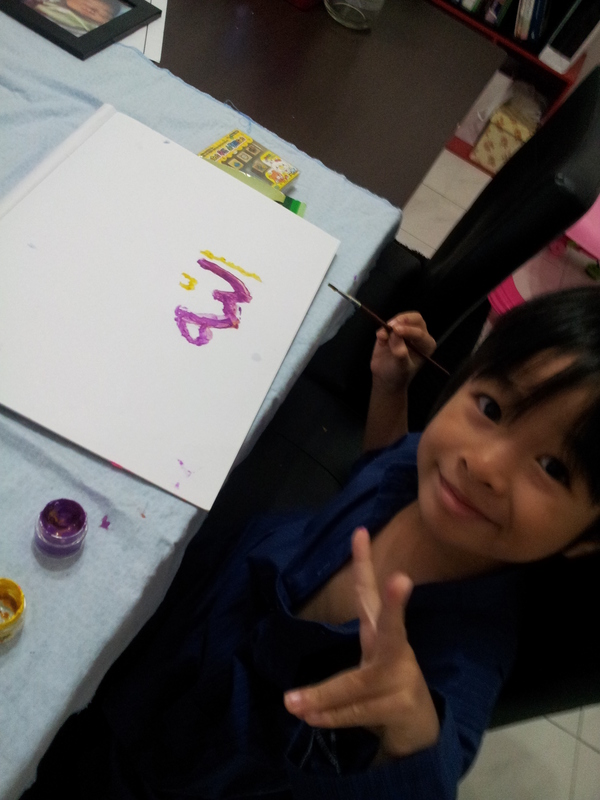 He already knows to write his name. 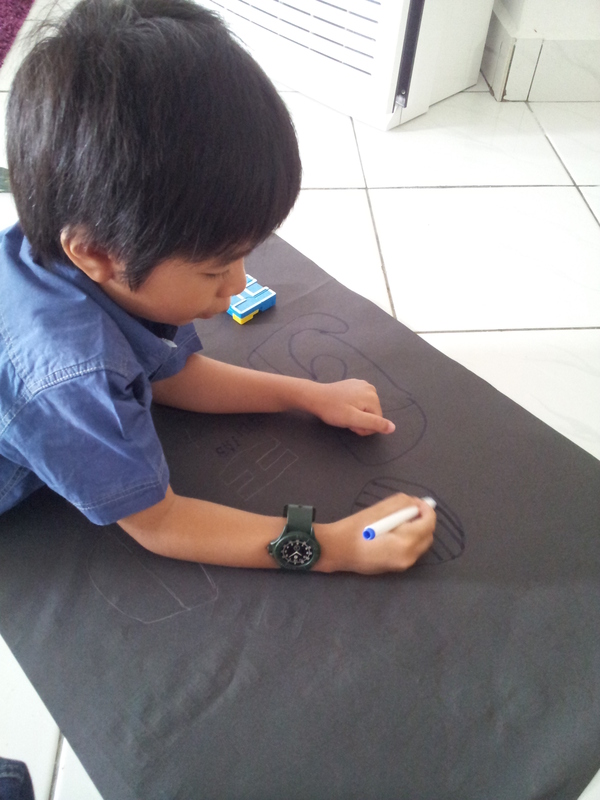 He now knows he is 5 years old, Alhamdulillah. Kalau tak, orang tanya dia akan jawab tak tahu. Huhu. 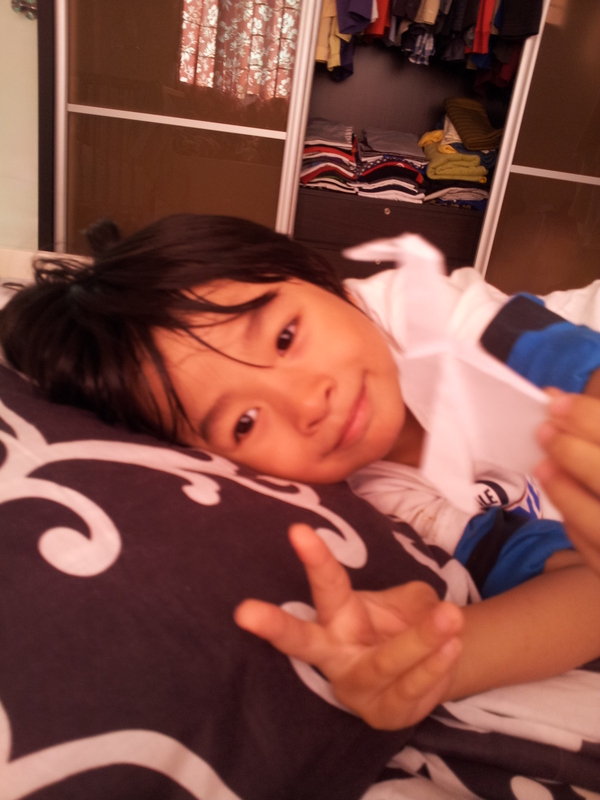 He asked me to do origami horse, and we did using instructions here:Horse Origami Haris buat yang awal-awal, simple and I did the rest. Lapbook resources for Horse can be found at ImaanHomeschool. 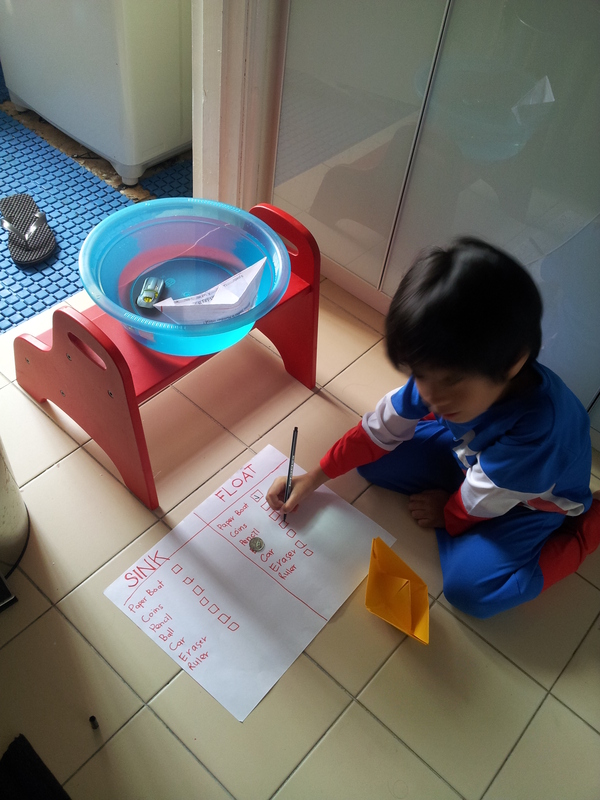 This week, Haris been asking to do Math; addition & subtraction. 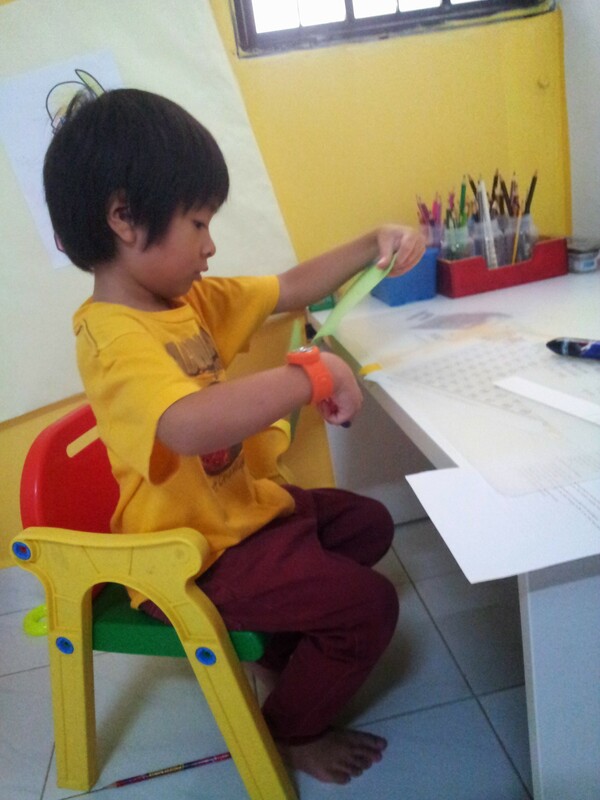 Keeps asking me to print worksheets for him to do. 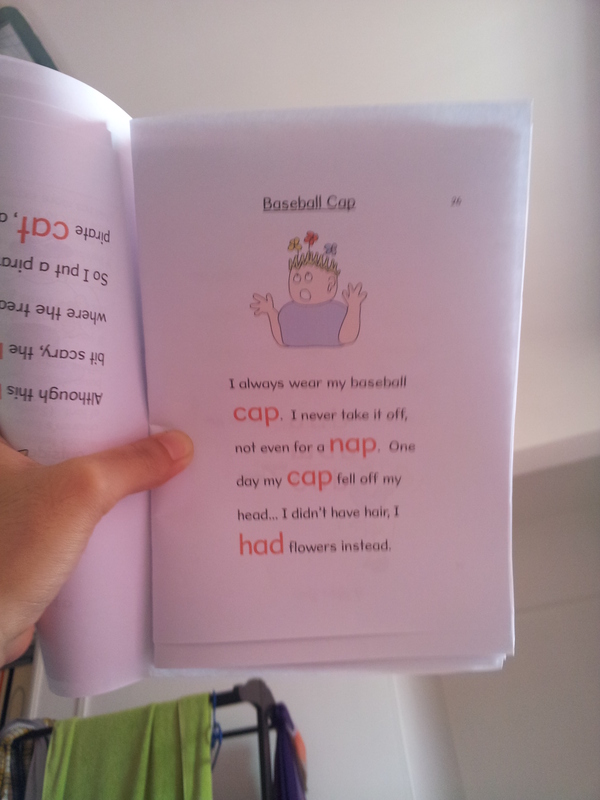 I got the simple worksheets here. 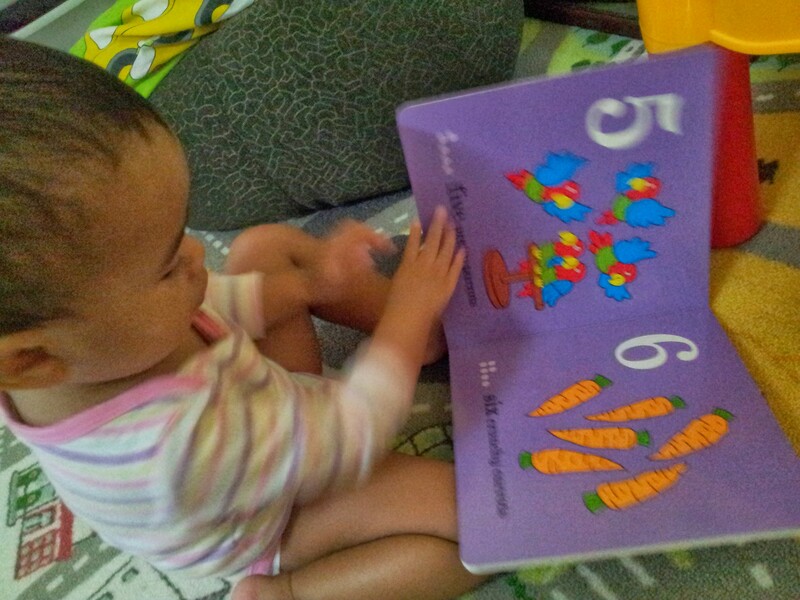 Dan Haris habiskan buku ni. This is actually a good book. Colourful and visually attractive. I got it cheap at Big Bad Wolf last year and the rest of it can be found at Book Xcess. Playing Math game on the computer. Next day, dia minta nak buat boat pulak. So, I taught him to make one. 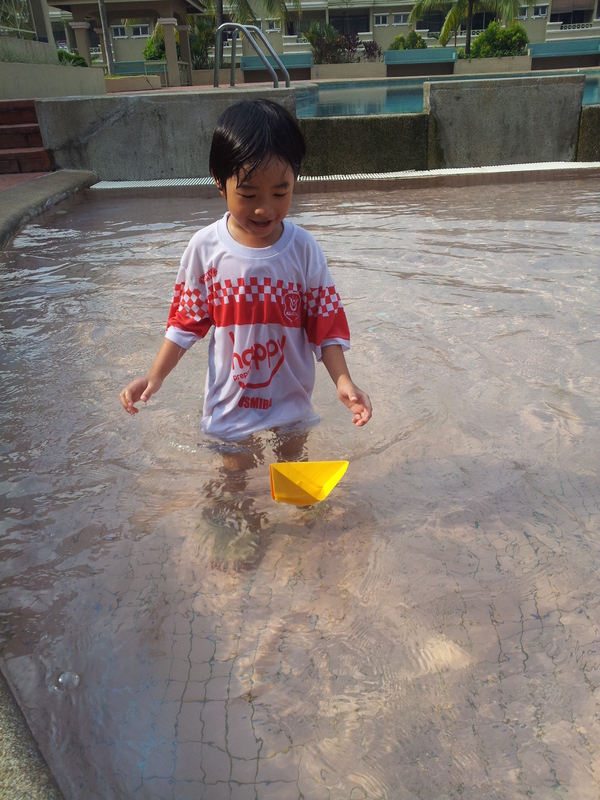 Jadi pepagi lagi dah gi mandi kolam sambil bawa paper boat dia. Continuing we make Sink or Float. Gather a few items around the house to do the experiment. Ha. Waktu masak tengahari selalunya jadi waktu science experiment Haris.